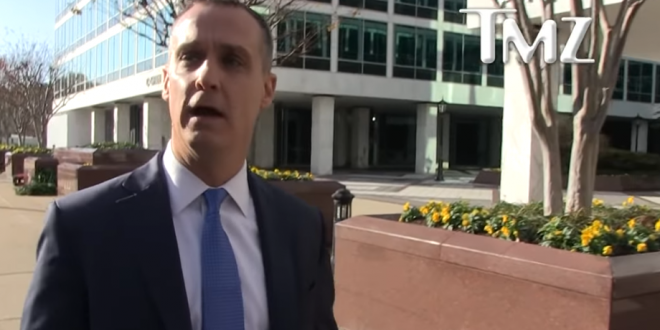 Lewandowski: I Could Beat Up John Kelly [VIDEO] - Joe.My.God. It’s been a while since Donald Trump was handing out Stone Cold Stunners in a wrestling ring, but that doesn’t mean that violence is entirely off the table in the current White House. Trump’s former campaign manager Corey Lewandowski made that clear when he told TMZ that he would absolutely win in a fight with Chief of Staff John Kelly. “Don’t believe the hype. Do I look like a guy — come on,” he said. “I have no idea what you’re talking about my friend.” When pressed on the issue, however, Corey told the pap that he would get the upper hand if it ever came down to a fight between Kelly and himself. “I always bet on me,” he said. Kelly, it’s worth pointing out, is a retired USMC general with more Bronze Stars than would fit on his uniform.